New Jersey Symphony Orchestra Assistant Principal Second Violinist REBEKAH JOHNSON has been a member of the NJSO since 1993. The Nevada, Iowa, native began violin lessons with Ilza Niemack at age 3. She gave her first public performance three years later on a CBS television special, playing the solo in Bach’s Double Violin Concerto. She went to The Juilliard School at 16 to study with Ivan Galamian and Sally Thomas and graduated with both Bachelor of Music and Master of Music degrees. 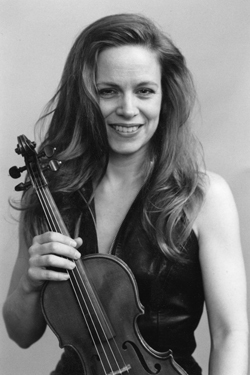 Johnson has toured four continents as a soloist and has released a recording, “Bach Partitas for Solo Violin.” In 2004, she gave a debut recital at Carnegie Hall that led to a historic New Year’s Eve concert at Carnegie Hall with the group Sextet in the City. 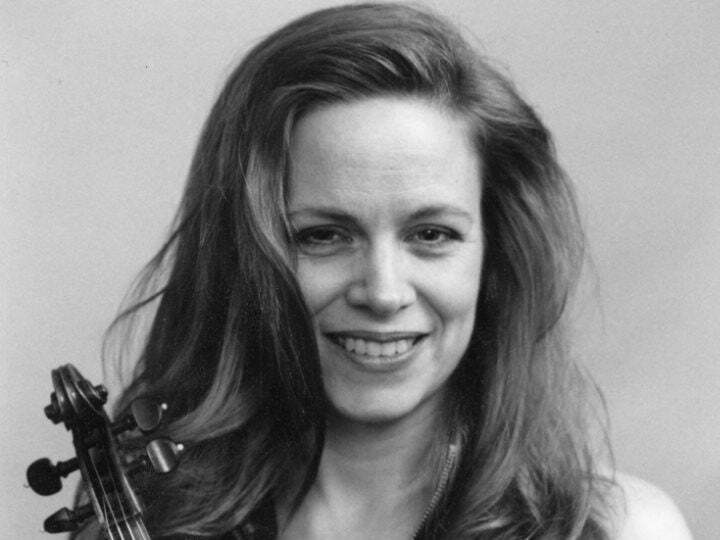 She founded the Leonore Trio (a piano trio) with Scott Ballantyne and is a frequent guest artist at various chamber music festivals, including the Grand Teton Music Festival and Roycroft Chamber Music Festival. In addition to her musical endeavors, Johnson is an avid photographer. She is also dedicated to community service. She has volunteered as a tutor in New York City public schools, raised money for the Leukemia and Lymphoma Society and helped Occupy Wall Street with its Occupy Sandy relief effort. Johnson plays on a Niccolo Gagliano violin.